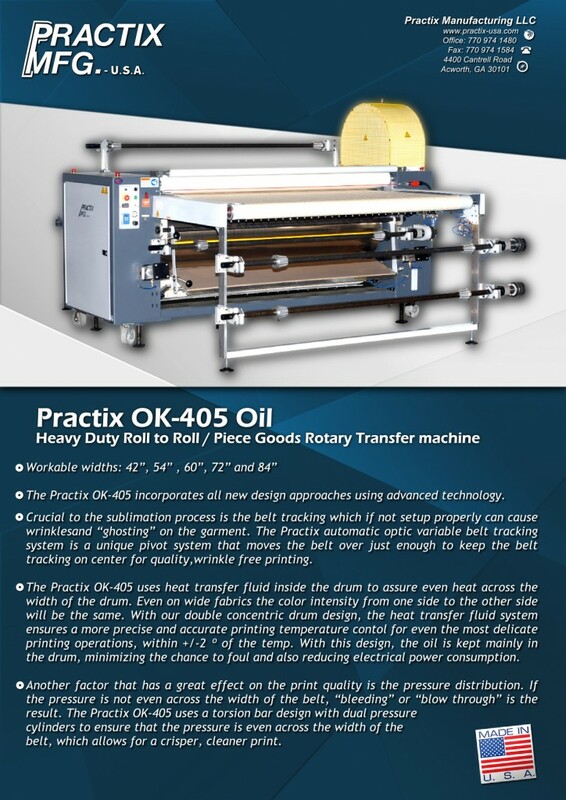 A truly advanced sublimation machine, the OK-405 from Practix was designed by heat transfer machinery specialists with over 20 years of experience who understand fully the fabric sublimation process. This unique piece of innovative machinery was designed with a pivot system for automatic belt tracking, which ensures no wrinkles and “ghosting” on any of your garments. Also crucial to a quality sublimation machine is even heat. To meet this need and nearly guarantee color intensity across even wide garments, the OK-405 utilizes a steel encased, oil filled heated drum system. As an added benefit, the OK-405 sublimation machine was ergonomically designed to reduce operator fatigue and boost productivity. The machine’s rewind and unwind stations were placed at a height that virtually eliminates the lifting of heavy rolls of per or fabric overhead. 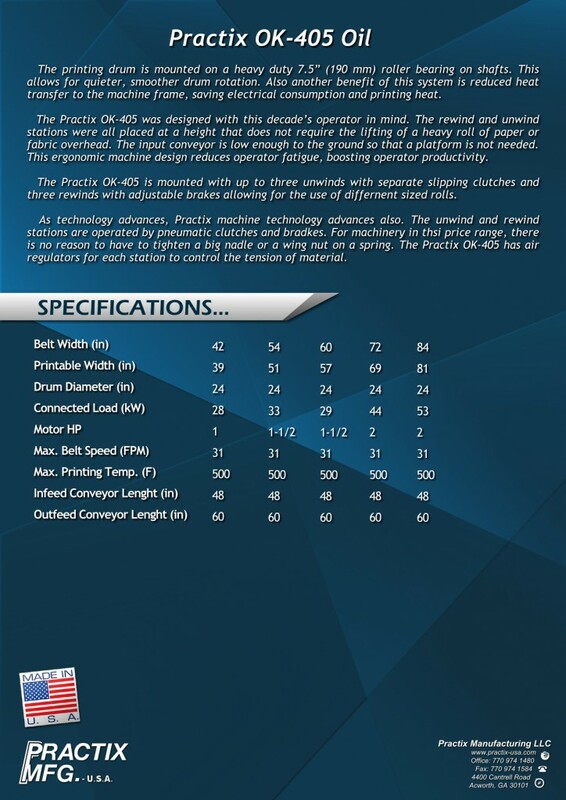 Furthermore, the input conveyor is low to the ground for even more convenience. All of Practix machines are fully customizable to meet the size and color requirements of your facility.